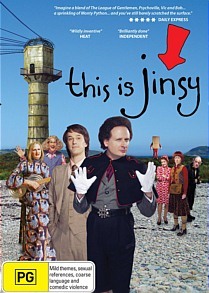 This is Jinsy is a strange comedy series and is reminiscent of Monty Python and for me, maybe a touch of Kenny Everett and Little Britain. 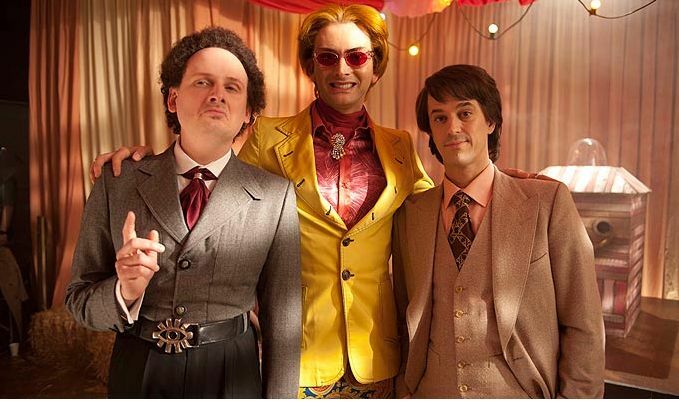 It also has shades of parallels to The League of Gentlemen with the bizarre and sometimes creepy characters, however with the PG rating, it's definitely considerably tamer. Set on a fictional island, This is Jinsy follows the exploits of two of the islands inhabitants, Maven (Justin Chubb) and Sporall (Chris Bran) who get into all sorts of mischief with their self-imposed situations being quite comedic at times. With eight episodes included in this release, the first episode introduces the major players to the series that includes Maven, the Island's arbiter and his assistant Operative Sporall who attempt to protect the island from its dictator, The Great He. However apart from the "dictator", each episode focuses on an aspect of the island and more importantly how Maven attempts to handle the situations that they find themselves in. For example, the first episode revolves around the Wedding Lottery which is a popular wedding traditional on the island where individuals are randomly married off to other inhabitants. As Sporall is lacking love in his life, Maven decides to enter Sporall into the lottery which creates some amusing situations. It's definitely situational comedy at its best and it stars an almost unrecognisable (at times) David Tennant as Mr. Slightlyman, the local celebrity who hosts the lottery. Add in whacky door to door salesmen, rock groups who make fun of Maven and a very amusing drunken cartographer, This is Jinsey is a comedy that can be watched by people of all ages as you become drawn into this strange island and even stranger individuals that may even give you a few nightmares. Entertaining to say the least with some great cameos that include David Tennant, Brian Murphy (from George & Mildred) and the delightful KT Tunsall for starters!